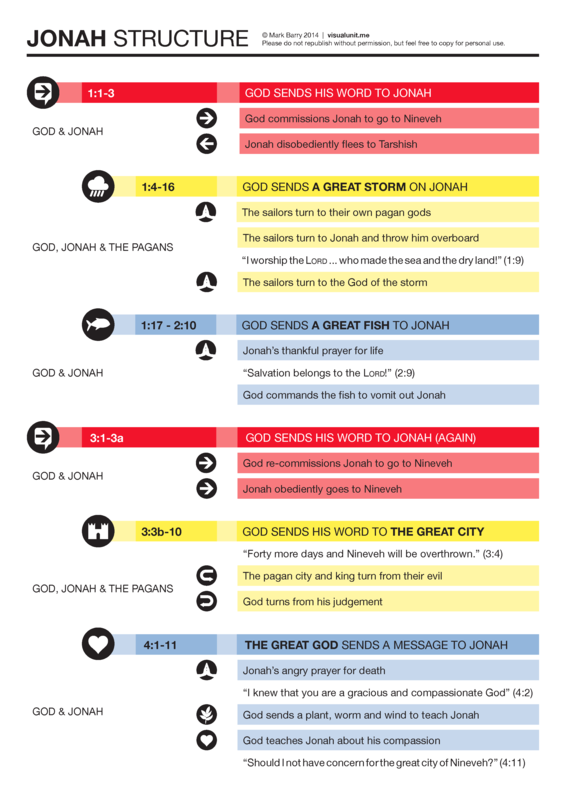 This entry was posted in English and tagged Jonah, Old Testament, overview, structure. Bookmark the permalink. Hi Mark, Another helpful diagram. Pure gold. When I went to the website version, a rather explicit advert was attached. Is this just my server, or true for all? I have not had this before…. Sorry Leonie! I don’t have any control over the ads via WordPress, but they are definitely not allowed to be explicit.